Want a solid-state drive that's both fast and spacious? Then Crucial's 1TB MX300 ought to be on your radar. Promising read and write speeds in excess of 500MB/s, the drive is a meaningful upgrade over a traditional hard disk and we have two 1TB models up for grabs. The competition winner will be picked at random from all eligible entries that arrive by 22:00 GMT on the closing date, January 8, 2017. The winners will be notified via email by January 15, 2017. The winner must claim their prize within 7 days of the promoter sending notification. If the prize is unclaimed after this time, HEXUS reserves the right to offer the unclaimed prize to a substitute winner selected in accordance with these rules. 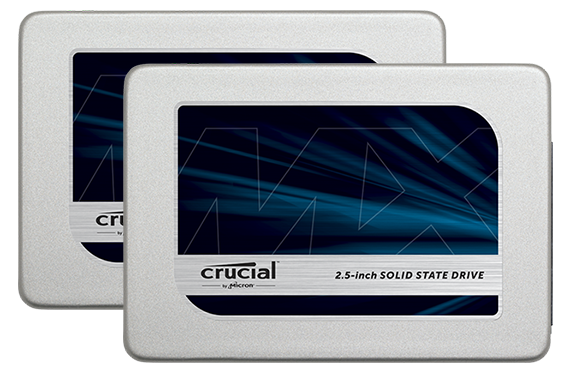 The prize is one of two 1TB Crucial MX300 SSDs. A 1TB SSD would be a great replacement for the SSHD in the family laptop. Oh yes I would love this for my machine. Thanks again Hexus. Many thanks to Crucial and Hexus. Another great prize on offer. Thanks.